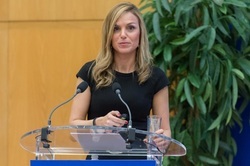 Idaira Robayna Alfonso is project advisor at European Commission - EASME. In her position, she mainly deals with SME policy development and EU funding schemes (COSME, H2020). Before her current position, she was project advisor at EASME with the mission of implementing a numer of actions of h2020 program and supporting the lauching, promotion and management of call for proposals and call for tenders within H2020. Since 2008, Idaira works for the European Commission but before, she has assumed several position in private sector such as European project manager and consultant in Teseo or Lawyer Collaborator in Bonelli Erede Pappalardo. She is graduated in Law from the ULL University and she also hold a Depth Advanced Diploma in EU studies (I-ADES), European law, European policies and economy from the European College of Parma.